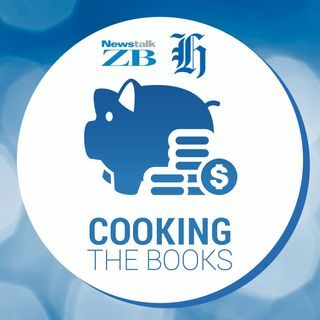 Each week, the NZ Herald and Newstalk ZB's Cooking The Books podcast tackles a different money problem. Today, it's how to ease into the sharemarket. Hosted by Frances Cook. Investing is a tricky thing to dip your toe into, especially if you've only got a little bit of spare cash. Most people who talk about it will stress the importance of having diversity, meaning you shouldn't put all your eggs in one basket. But that's a little tricky when you're just starting ... See More out. Maybe you've scrimped and saved to put aside $1000, and now you want to put that $1000 to work. That's a good effort, but in the world of investing, it's tiny. Everyone starts somewhere. But, where, exactly? If you're anything like me, you start with trusty old Google. You might decide that because you have time on your side, the sharemarket is a good idea. You hear about funds, where even a small investment will automatically be split across different companies, giving you that diversity that everyone is rabbiting on about. Great, you think. I should start there. But then you dive a little deeper, and you can easily be swamped by terms like managed funds, exchange traded funds, or index funds. What's the difference? And which one is right for you? Time for the experts. I got in touch with Aaron Jenkins, head of Funds Management at NZX, for the latest Cooking the Books podcast. He said shares were best for those who were in it for the long haul. "Over the long term shares will typically have a better return than other investment options, for example a term deposit. "But the downside is that shares are likely to be more volatile. "So the benefit a fund provides is helping with diversification. Rather than an investor having to buy shares themselves in multiple companies, a fund does that for you, which immediately helps provide and element of risk management for an investor." Jenkins gave a quick definition for the main fund types new investors will likely to come across. "Managed funds, as the name suggests, are where somebody's managing that fund portfolio for you. "Because of that extra research and analysis ... they typically therefore come with higher fees. "An index fund, unlike a managed fund, is where there's no research done. The index fund just invests on a set of rules. "An example in New Zealand is the New Zealand Dividend Fund. That's just a set of rules that says that fund will invest in the 25 highest dividend paying companies in New Zealand over the last year. "The third one you asked about is exchange traded funds, or ETFs, as you'll hear them shortened. They could be a managed fund or an index fund, it's just that they are listed on the stock exchange. "Now typically when you hear ETFs described, people are thinking of them as index funds. The benefit of ETFs is that they are quoted on the NZX, so you can see the price of them every day, and you can buy or sell them exactly the same way as you would buy shares in a listed company." Jenkins pointed out that a fund of any type had the benefit that, if your circumstances changed and you needed some of the money back, you only had to sell some of your shares. It was easier than something like property, where you'd have to sell the entire house. "You do need to sell your investment via a stockbroker. "There's a range of them in New Zealand, you would open an account and they would do that for you. Some of the examples of those New Zealand stockbrokers is ASB Securities or ANZ Securities." For those who want an idea of what return to expect, Jenkins points to the New Zealand Top 50 fund. It launched in 2004, and has since had an average return of 7.5 per cent per year, after fees and taxes were taken out. "But to reiterate one of my earlier points, during that time that fund experienced three years of negative returns. That is when the fund went down in value.